The bar at New York City’s new The Growler Bites and Brews, which features a sound system comprising Genelec 8030A Bi-Amplified Monitors. A Genelec 8030A Bi-Amplified Monitor, part of the sound system at New York City’s new The Growler Bites and Brews. 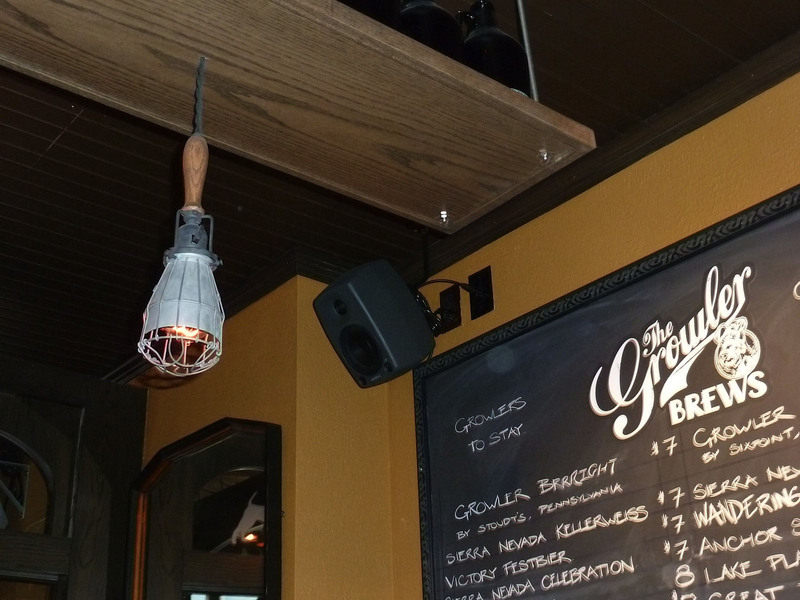 NATICK, MA, November 17, 2011 — Danny McDonald, owner and co-owner of numerous bars, pubs and restaurants in Lower Manhattan, has opened a new establishment, The Growler Bites and Brews, that features a sound system comprising Genelec 8030A Bi-Amplified Monitors. McDonald has relied on the Genelec brand since installing his first system in 2000, and he is currently planning another large installation of the monitor speakers at New York’s historic Pier A. The Growler Bites and Brews bar and restaurant is located in the Financial District on Stone Street, which is often referred to as Lower Manhattan’s restaurant row and is the location of several of McDonald’s other establishments. The new eatery is named after the traditional half-gallon jugs used to transport beer and sports a decidedly doggy theme, even offering a corral for its four-legged patrons while their owners chow down on organic hotdogs, microbrews and other fare. The Genelec speakers for this newest install were purchased from Guitar Center. 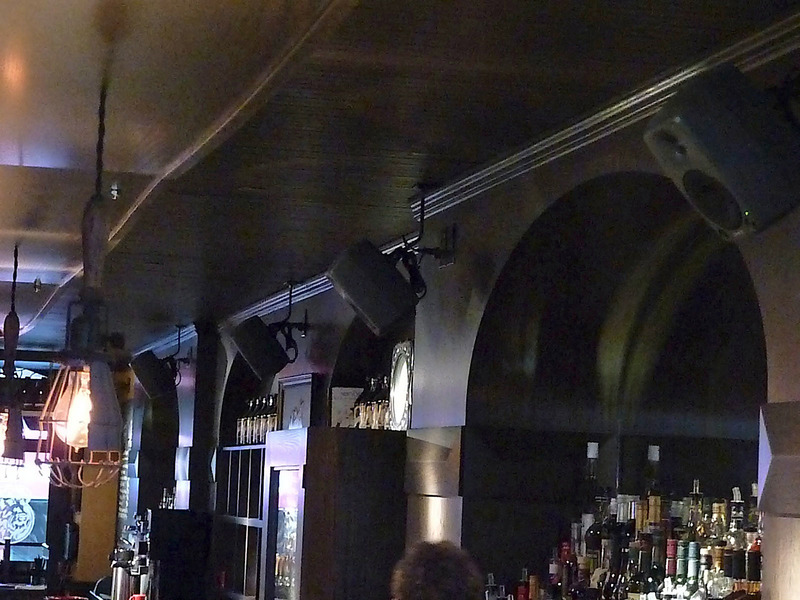 McDonald initially installed Genelec 1030A speakers eleven years ago at Puck Fair, an Irish pub on Lafayette Street. “There are 36 1030A’s there,” he reports, noting that he installed additional Genelec speakers at his oldest bar, Swift, at around the same time. “Then I built Ulysses Folk House in 2003; there are probably 40 in that spot, including the subs and speakers that we’ve added since. Then we put them in Harry’s Café and Harry’s Steak at One Hanover Square. Those are effectively two restaurants; there are 48 Genelec speakers in there. Next we built Gold Street – which is now called Harry’s Italian – in the Two Gold Street building, and put 40-odd in there.” Additional Genelec monitors are installed at the Vintry Wine & Whiskey bar, also on Stone Street, and the Bathtub Gin Speakeasy at 18th Street and Ninth Avenue. McDonald’s next project will be the 30,000-plus-square-foot Pier A complex, a multi-million-dollar renovation project that will house a mix of casual and fine dining restaurants. “We’ll be using Genelecs there, too,” he says. Photo Caption 1: The bar at New York City’s new The Growler Bites and Brews, which features a sound system comprising Genelec 8030A Bi-Amplified Monitors. Photo Caption 2: A Genelec 8030A Bi-Amplified Monitor, part of the sound system at New York City’s new The Growler Bites and Brews.